The very name sounds thrillingly exotic, doesn’t it? 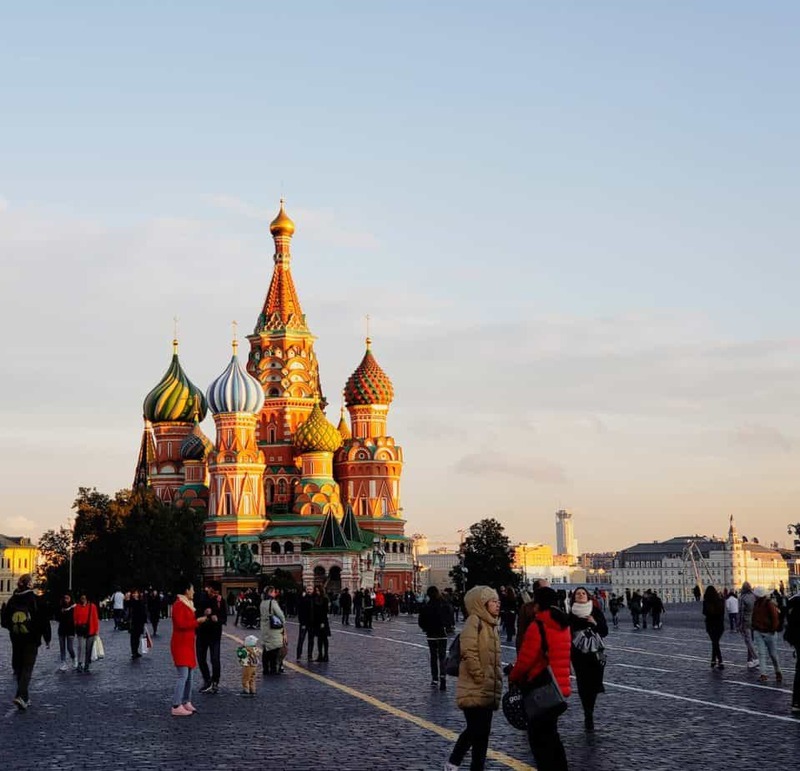 For us, the prospect of Russia was truly exciting, and during our brief visit there in October 2018, we wanted to be sure to visit the must-sees, the very best spots in Moscow. 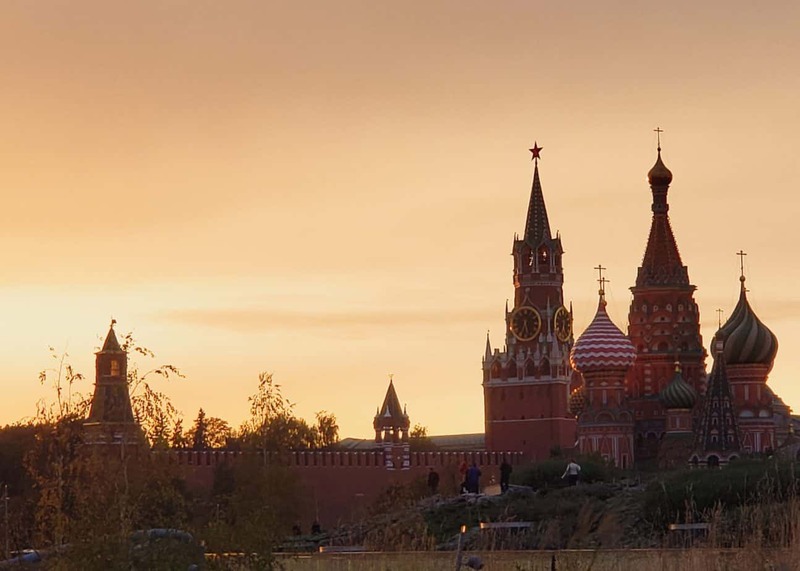 So we scoured the web for lists of what to do in Moscow, Russia, as well as let ourselves wander freely to discover our own special parts of Moscow. After spending four days exploring this impressive city, we feel that we had a great first-timers’ experience. Want to do the same? We’ve handpicked 11 essential things to do for first-time visitors to Moscow. 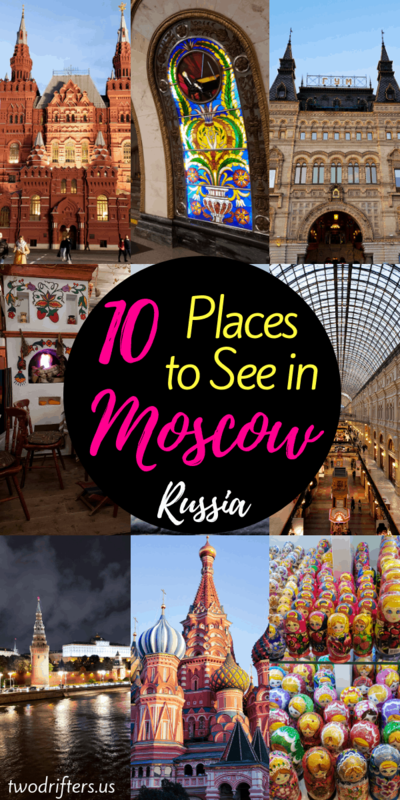 These are all places to visit in Moscow that will provide you with the quintessential experience of Russia’s capital city. 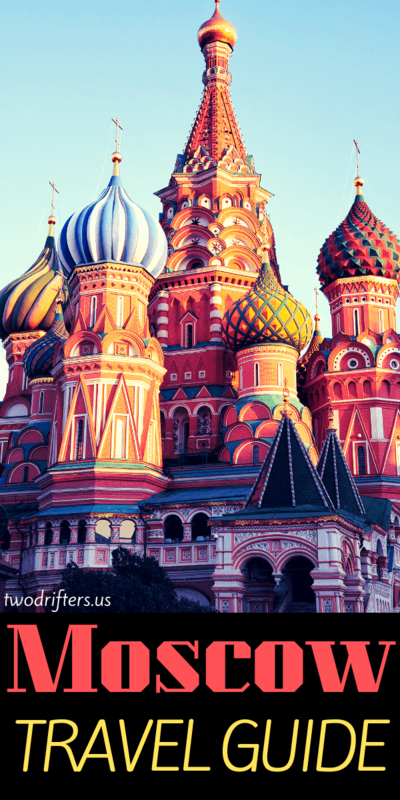 PS: Check out this article from Happy Frog Travels for a great overall guide to Russia. 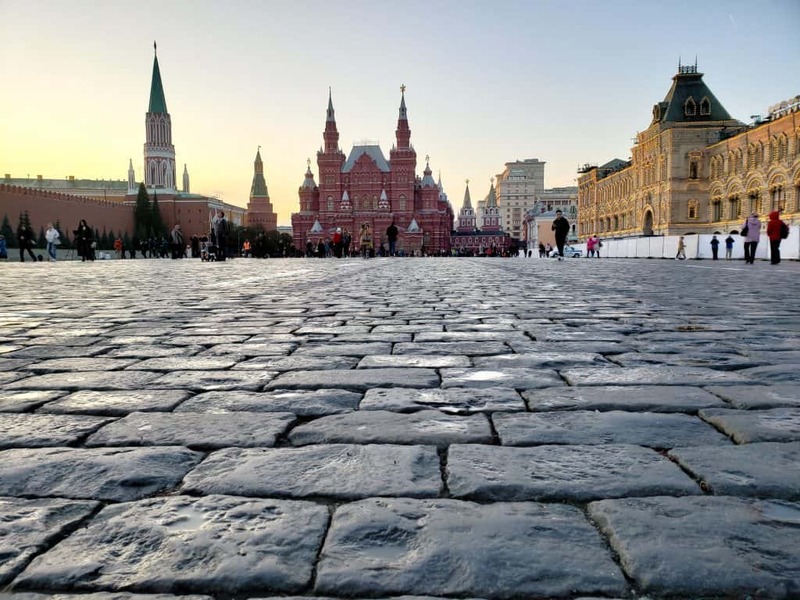 Without a doubt, any trip to Moscow should begin at the famous Red Square. This expansive plaza is where you’ll find most of Moscow’s most well-known sites, including the Kremlin and the colorful St. Basil’s Cathedral. Today, the Red Square is known as a tourist magnet and is often the site of events, concerts, and festivals. Fringed by beautiful, significant buildings, it’s a photogenic spot for sure, and we also felt that it had a palpable energy about it. With a long history, the Red Square is, in many ways, the heart of the city. Take the Metro to station “Okhotny Ryad” (Охотный Ряд). This is on the Red Line, Line 1. 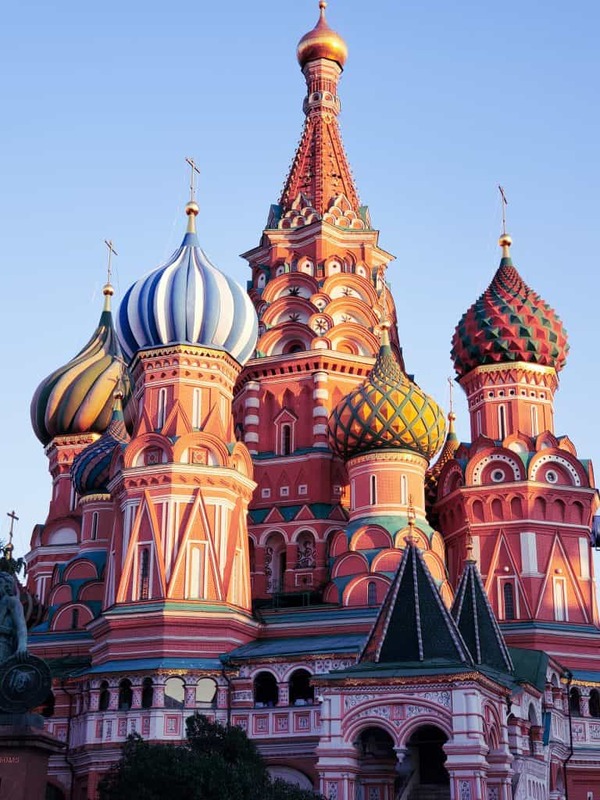 When you think of things to see in Moscow, St. Basil’s Cathedral is likely the first image that enters your mind. This candy-coated cathedral is one-of-a-kind. Or, at least, that’s what Ivan the Terrible intended. According to legend, he gouged out the eyes of all who helped build this remarkable cathedral so that a replication could never be completed elsewhere. Yikes! Of course, the Church of the Savior on Spilled Blood, in St. Petersburg, was built a couple centuries later in a very similar manner. St. Basil’s is beautiful to look at and photograph. If you can make it to the Red Square at sunset, you’ll be rewarded by the reflection of warm light off the cathedral’s remarkable spires. Vladimir Lenin was a major figure in Russia’s Soviet history. Since his death in 1924, his preserved body has been on display in his Mausoleum, which is located on one side of Red Square. Nearly 2.5 million people visit this site each year. Periodically, his preservation is retouched and refreshed, so Lenin looks… well, pretty lively, even in death. Walking through the mausoleum is a fascinating experience, and a rare one: How often do you get to see the body of one of the world’s most influential political leaders? You should prepare to wait in a lengthy queue to enter. We’ve heard reports of visitors waiting for an hour or more, which is possible during the busiest tourist months, but during our October trip, we only had to wait approximately 20 minutes to enter. You’ll go through security, and you’ll be asked to remove hats when inside. No photography is allowed inside the mausoleum; neither is talking or hands in pockets. The Kremlin is the historical heart of Moscow. Kremlin means “fortress,” and this one, built in 1156, was where the city got its start. It was where Russia’s tsars lived until Peter the Great founded St. Petersburg. It resumed its modern political significance following the Russian Revolution, when the Bolsheviks returned Moscow to its capital status. Today, the Moscow Kremlin is the seat of political power for the Russian Federation. 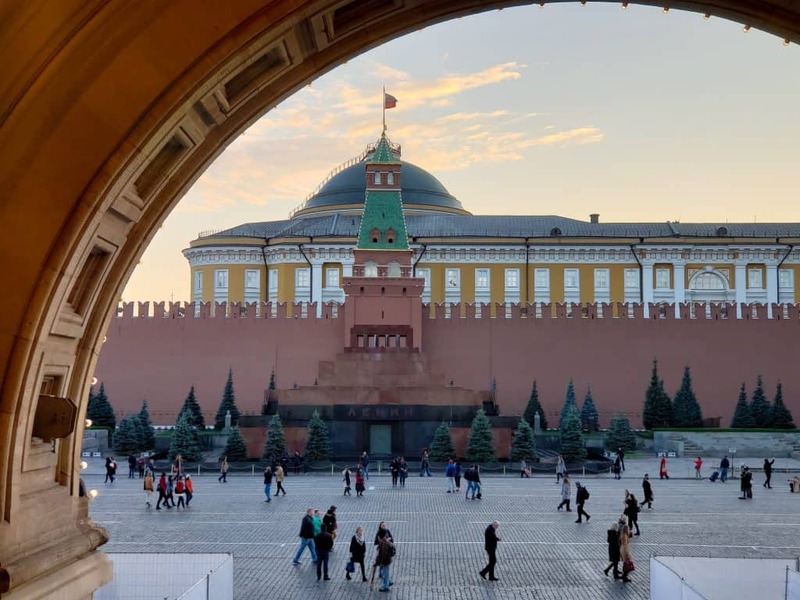 The Kremlin is one of the top attractions in Moscow, but there is so much to see inside that you’ll probably need to dedicate an entire day or half day to your visit. Unfortunately, on our recent trip, we did not have time to go inside the Kremlin, but we saw it from the outside. 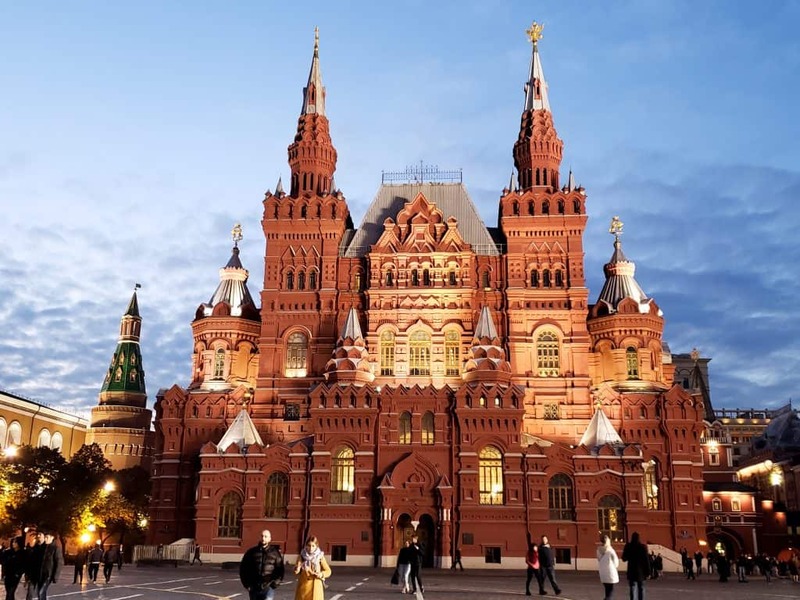 Inside, you’ll find a variety of museums, cathedrals, and other important historic sites of note, including the Tsar Cannon and Tsar Bell (the largest cannon and bell in the world). Check out this excellent resource on how to buy tickets for the Kremlin and its various attractions. Please note: The Kremlin is closed on Thursdays. If you don’t have time to go inside the Kremlin and explore its museums, you can still see an important part of it from the exterior. The Spasskaya Tower, topped with a red star, is at the far end of the Red Square, near St. Basil’s Cathedral. It is generally regarded as the Kremlin’s loveliest tower, but it also has great historical significance. Once the main entrance to the Kremlin, this spot has played host to many regal processions. According to legend, the tower is imbued with mysterious powers that help to protect the Kremlin from enemy invasion. It remains important today as a New Year’s symbol, chiming its bells at midnight and officially welcoming the New Year into Russia. Moscow is not all history. There’s also some great shopping! And GUM department store is a place that marries both. This center is really a massive mall filled with various shops. The building is stunning (first built in the 1890s) with a hypnotizing glass roof and long, elegant galleries. You should definitely spend some time getting lost in the many floors of this shopping mecca, and if you’re hungry, there are several places to dine. We recommend Coffee Mania (Кофе мания), which quickly became one of our favorite chains in Moscow. It has an easy to read menu (in English! ), yummy coffee, and a variety of delicious food. You can’t go wrong, and the Coffee Mania in GUM is on a beautiful balcony overlooking the floor below. GUM is a must when you visit Moscow. This theatre has a regal exterior (and, we’re told, an equally intriguing interior). You can see for yourself on one of their guided theatre tours, offered Tuesdays, Wednesdays, and Fridays in either English or Russian. Tour tickets cost 1500 rubles (approximately $24 USD). More details can be found here. You could also plan to see a ballet or opera, but you’ll want to purchase tickets far, far in advance, as performances are likely to sell out. And be prepared to pay a significant amount. 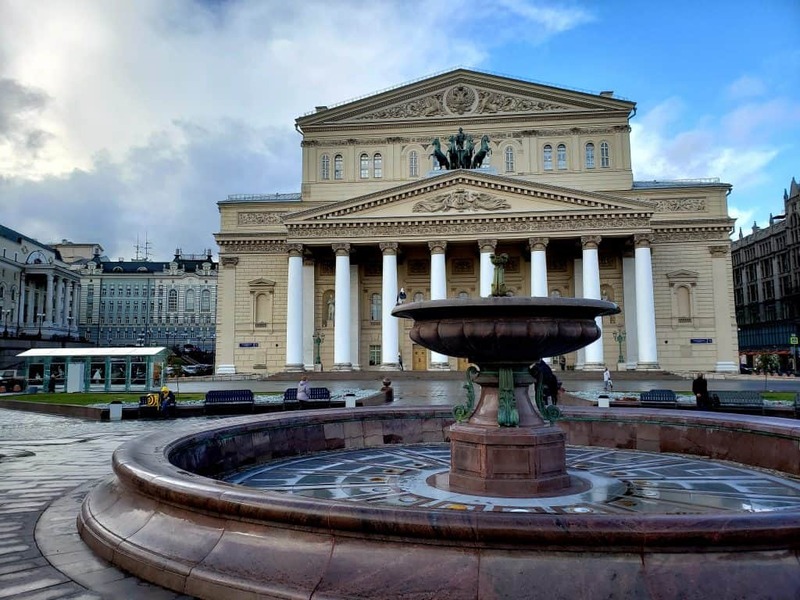 The Bolshoi is first-class theatre at first-class prices! The Bolshoi is a 10-minute walk from Red Square, or if you’re elsewhere in the city, take the Metro to Teatralnaya Station (Театра́льная). 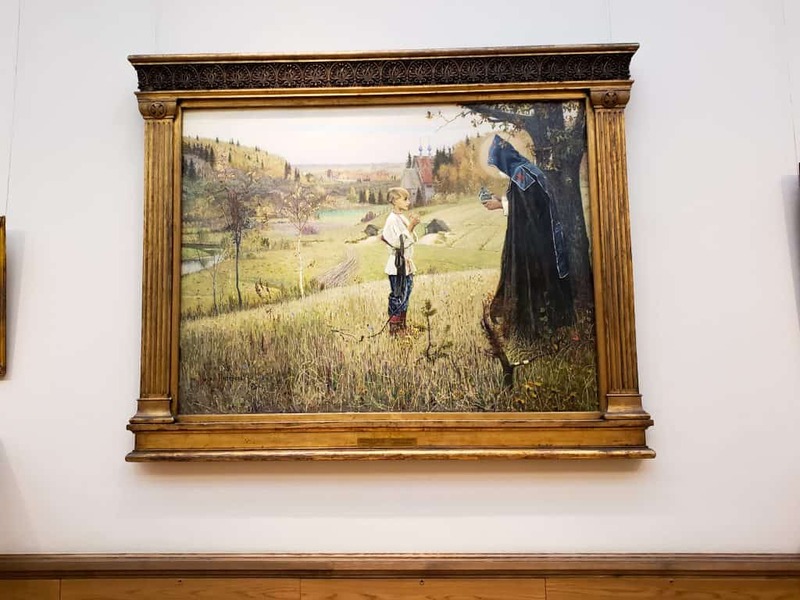 Your Moscow sightseeing itinerary should include a trip to the Tretyakov Gallery, a fantastic museum of art in Moscow. 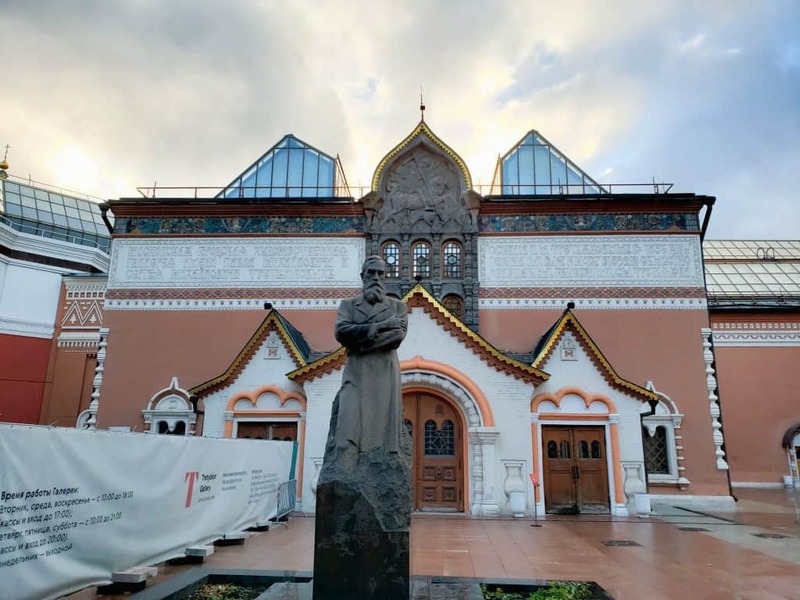 The Tretyakov is the foremost gallery of Russian fine art the world over and presents a fantastic overview of Russian art history. 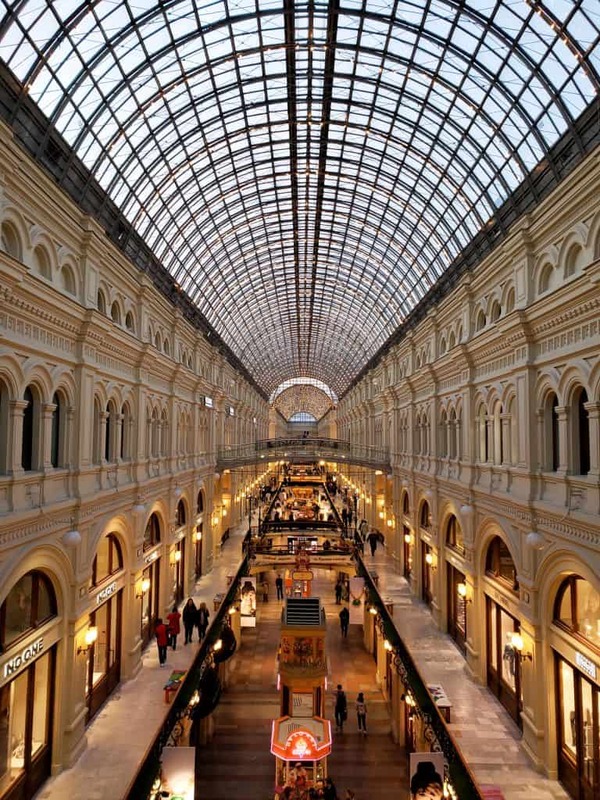 The gallery dates back to 1856, when a merchant named Pavel Mikhailovich Tretyakov began to collect art. By 1892, Tretyakov had 2,000 works of art, which he presented to the Russian nation. Today’s collection includes more than 180,000 pieces in various styles, from the eleventh to the early twentieth centuries. Unlike most of the other items on this list, which are a fairly easy walking distance from Red Square, the Tretyakov is a bit farther. We recommend riding the Metro to Tretyakovskaya Station (Третьяко́вская) or taking an Uber. 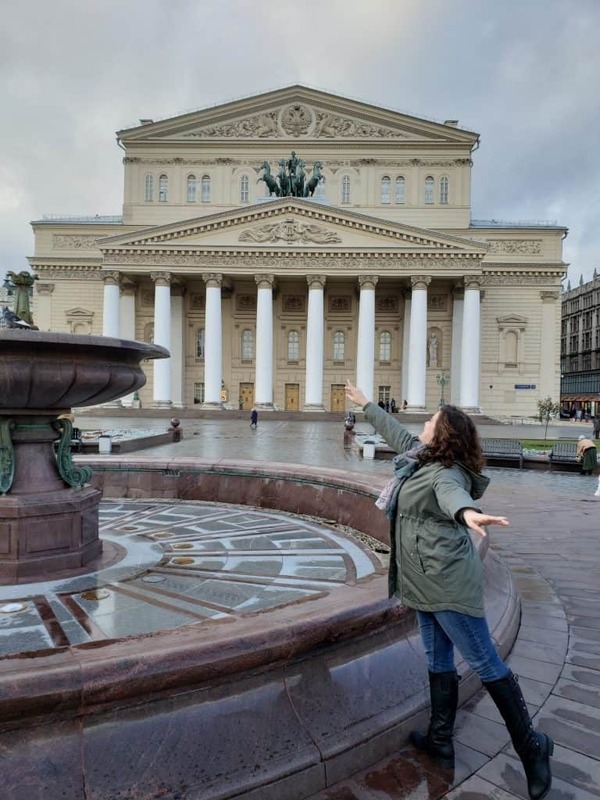 One of our favorite things to see in Moscow, Russia came to us at the recommendation of a local. Zaryadye Park, located just next to the Red Square, feels like a hidden gem of the city. We were so glad we took the advice and explored this area. Zaryadye Park is a very modern park, sitting just high enough to provide spectacular views of the city. At the top of the park’s walkways, you can have a fabulous view of St. Basil’s Cathedral and points beyond. Take a walk up there at sunset and you’ll have an incredible experience. That’s what we did, and it was truly magical. 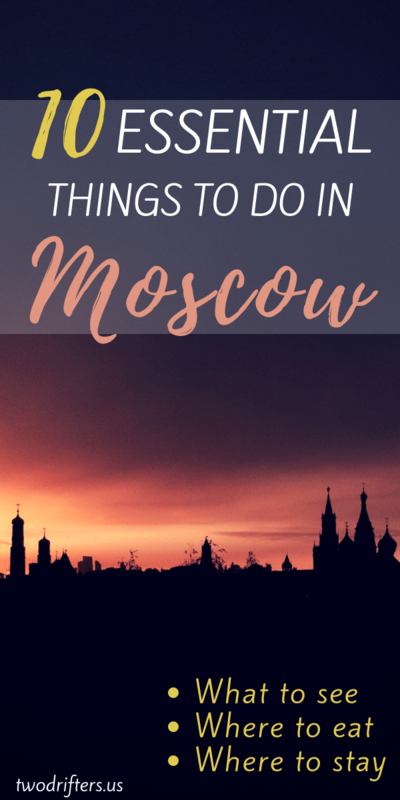 Looking for things to do at night in Moscow? Catch the sunset over the city from Zaryadye Park. The park has lots of places to sit and enjoy the atmosphere, and speakers throughout the park emit classical piano music. 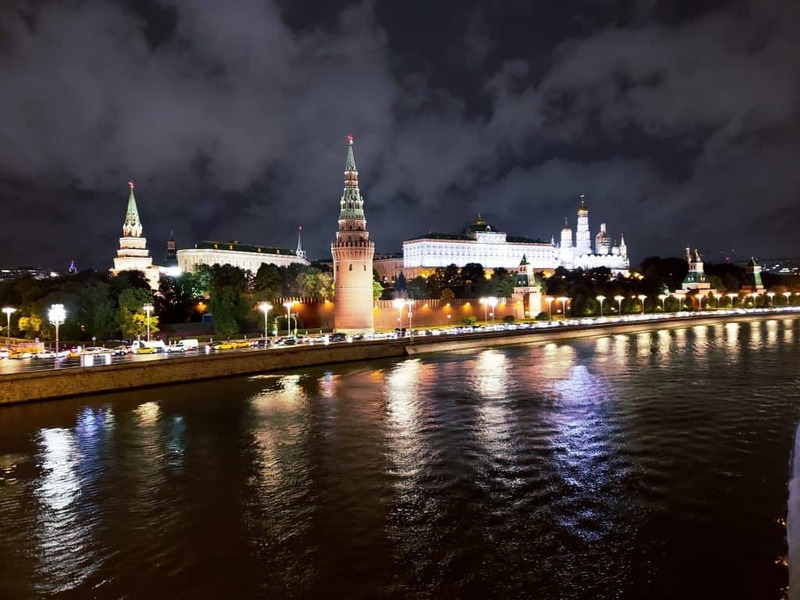 Altogether, it creates a very romantic experience in Moscow as you gaze over the Moskva River. The State Historical Museum is one of the most impressive attractions in the Red Square, and it’s worth going inside for a visit. The cost of entrance is 500 rubles, which allows you to see a range of historical artifacts from throughout Russian history. Unfortunately, not all of the exhibits have English translations, but you can walk around with an audio guide if you wish. Allot an hour or so to wander this museum, where you can see everything from prehistoric artifacts of ancient Russians to sixth-century manuscripts collected by the Romanov dynasty. Also, be sure to check out the ceiling of the main entrance, which is covered in portraits of the Russian Tzars. 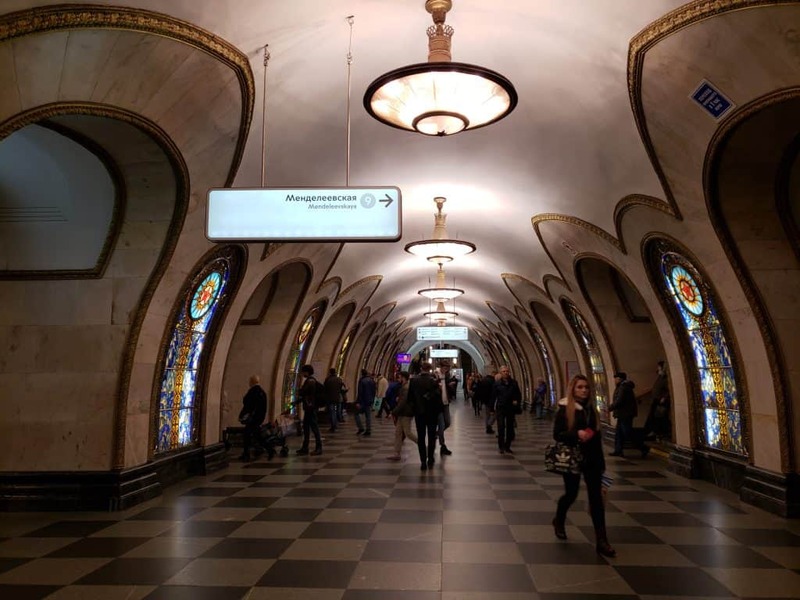 The Moscow Metro is one of the largest and busiest metro systems in the world–and one of the most efficient. These trains zip and zoom under the streets, conveying an average of nearly seven million passengers EACH DAY. 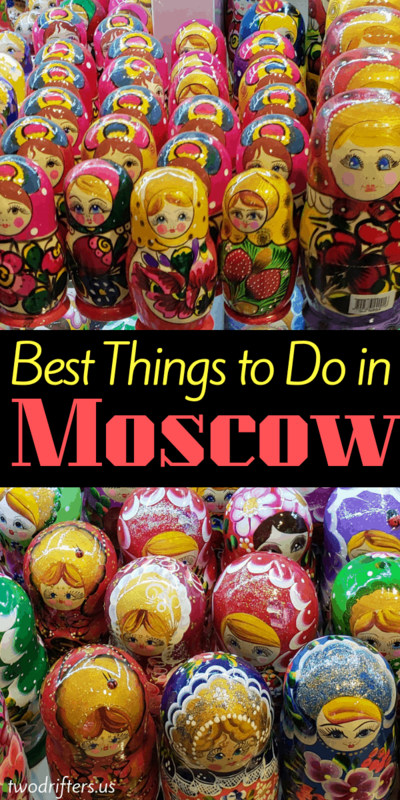 Of all the places to see in Moscow, the Metro might seem the most unlikely to be on this list. But the various stations of the Moscow Metro are an attraction in their own right, featuring stunning works of art deep beneath the ground. 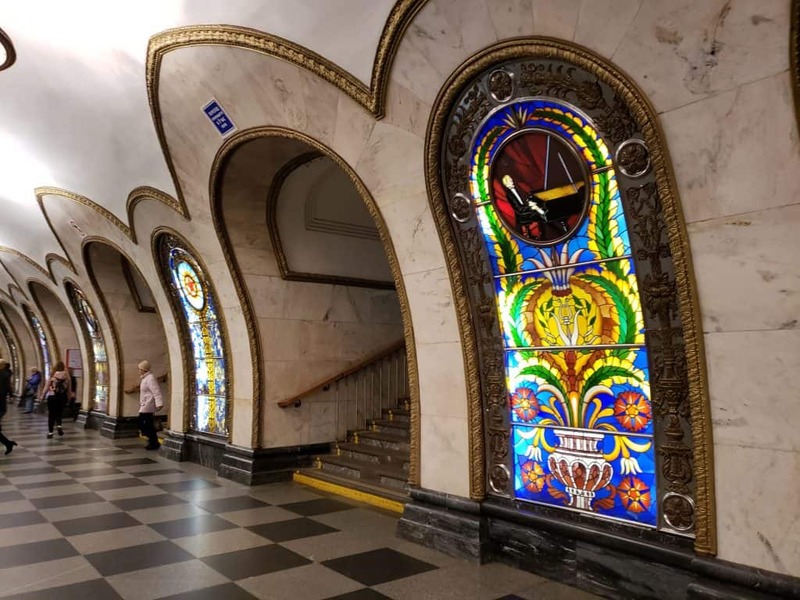 As you traverse the city, it’s worth stopping at some of the most intriguing stations, including Komsomolskaya, Mayakovskaya, Novoslobodskaya (pictured below), Arbatskaya, and Slavyansky Bulvar. This should be fairly easy to do as a ride on the Metro costs just 55 rubles. All that sightseeing is going to work up your appetite. Luckily, we sampled a few great restaurants in Moscow that we can recommend to you! Taras Bulba was suggested to us by a Moscow resident named Olga who we met on our flight over. She told us that this Ukrainian restaurant was one of her favorites. We ate there for dinner one night and enjoyed it thoroughly. 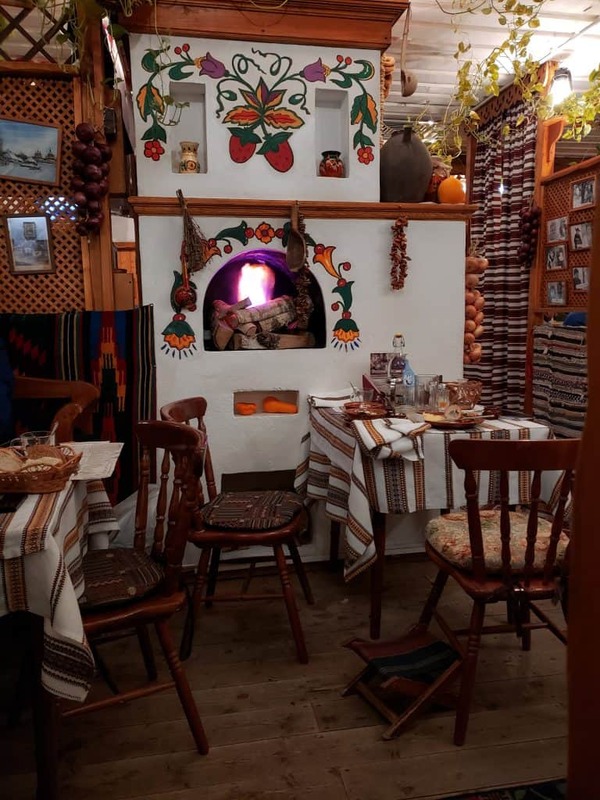 The decor is absolutely adorable (as you can see in the photo below), and the servers and hosts wear traditional Ukrainian dress. 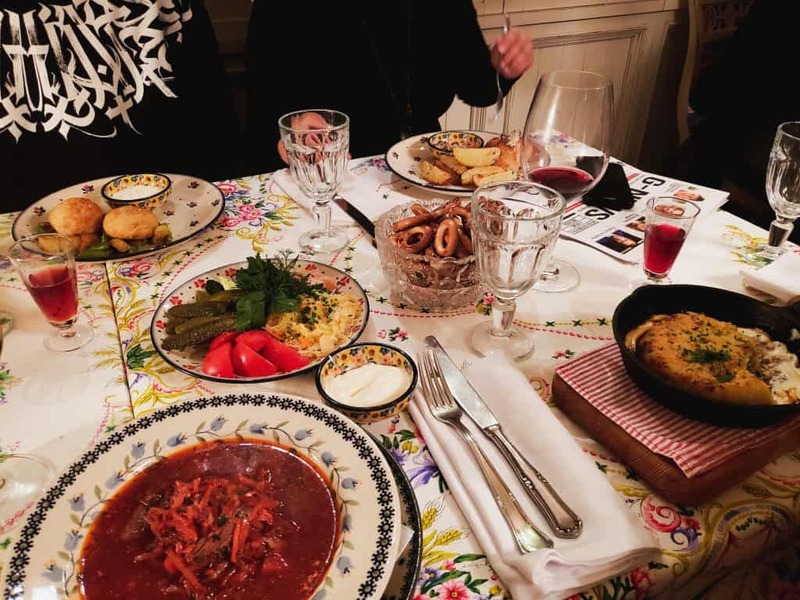 The cozy atmosphere was perfect for drinking kvass (a Ukrainian drink made from fermented grain), eating Chicken Kiev, and sampling potato pancakes. Come to Taras Bulba if you’re looking for hearty food at a great price, plus a lively and comfortable space. There are a few Taras Bulba locations, but we visited the one close to the Red Square. Want something that is truly elegant? And perhaps a tiny bit touristy as well? Cafe Pushkin is where you’ll want to go. This is a famous cafe in Moscow that serves great Russian food, but it’s most well-known for its stunning decor. Situated inside what was once the house of a nobleman, it is a sophisticated and charming place that you’re going to want to Instagram! 😉 If possible, make a reservation for the Library Room, which is the cafe’s most epic spot. 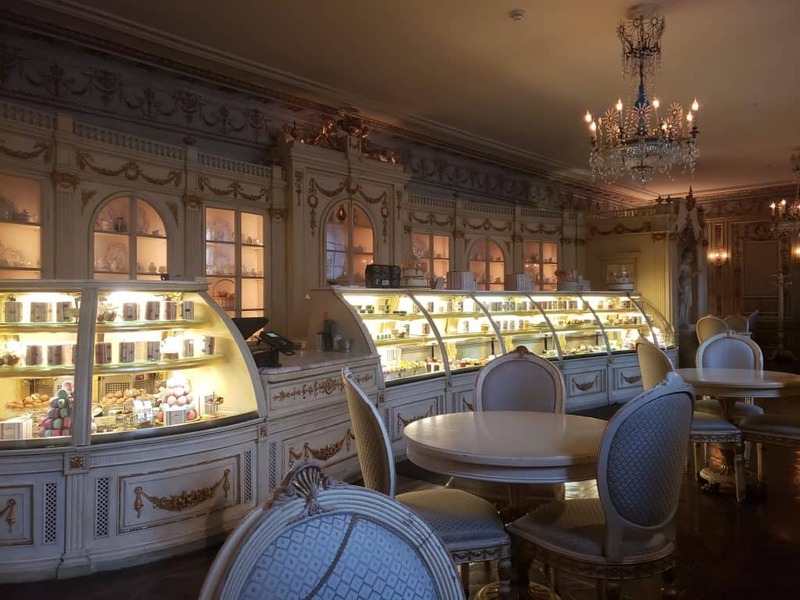 The prices can be quite steep for dinner (also note that Cafe Pushkin has a dress code), but if you want a quick sample of the cafe’s elegance, dine next door to the main restaurant in the Confectionary/Patisserie. We enjoyed breakfast here one morning, dining on the biggest croissants I’ve ever seen. Cafe Pushkin is open 24 hours and is located at Tverskoy Boulevard, 26А, Moskva, Russia, 125009. Mari Vanna is probably the best restaurant in Moscow for a first-time visitor. Here you’ll enjoy traditional Russian food selected from an extensive menu. There’s bound to be something you’ll like, even if you’re a picky eater, but we definitely suggest sampling the traditional favorites like borscht, dumplings, and, for dessert, honey cake. You want cozy? Mari Vanna epitomizes cozy! This restaurant is designed to look like a Russian grandma’s living room/dining room, and it delivers. To top it off, there’s a fluffy, smushy-faced kitty wandering around. For that sense of home-cooked love and goodness, make your way to Mari Vanna. We stayed at two different hotels during our trip to Moscow, and this gave us a good understanding of the possibilities. We’d recommend both of the hotels we stayed at. 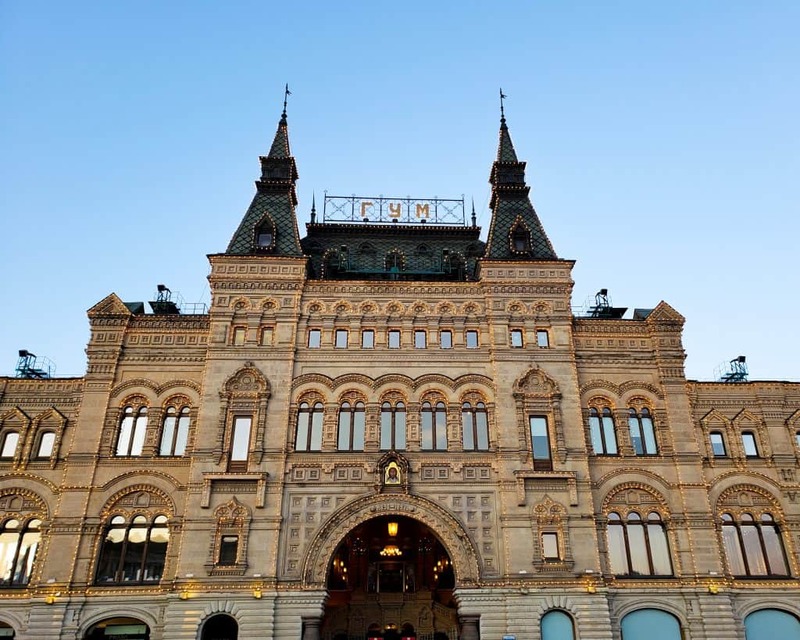 This hotel is modern, clean, and well-situated, though not within easy walking distance of Red Square. However, it’s a 10-minute walk from Paveletskaya Station, which is where you will end up if taking the Aeroexpress Train from Domodedovo Airport. That makes the Hotel Ibis a convenient choice. It’s also a five-minute Metro ride to central Moscow. Check out details and prices for Hotel Ibis Paveletskaya here. For a more old-fashioned vibe, the Hotel Neapol will suit you well. This has a glamorous vibe but is a very affordable hotel, particularly if you choose one of their budget rooms. The location is great: You can walk to Red Square in about 10 minutes, and the rooms have opulent decor that makes you feel quite luxe. Check out details and prices for the Hotel Neapol here. Navigating Moscow via the Metro is pretty straightforward. It’s a fairly intuitive system, although you will want to either brush up on your Cyrillic alphabet or photograph the names of your stations. While most signs have some English in the Metro, it’s easier if you know what the Russian name of a station looks like. Note, the Metro runs from 6:00 am until 1:00 am. You can purchase single tickets from each station’s self-serve machines, which easily change to English or your preferred language. We found that purchasing a daily pass for the Metro was confusing using the machine, so we used a ticket window at one of the stations, where an English-speaking attendant helped us buy our passes. They were extremely affordable, around 200 rubles apiece. Chances are you will arrive to Moscow via the Sheremetyevo or Domodedovo Airports. 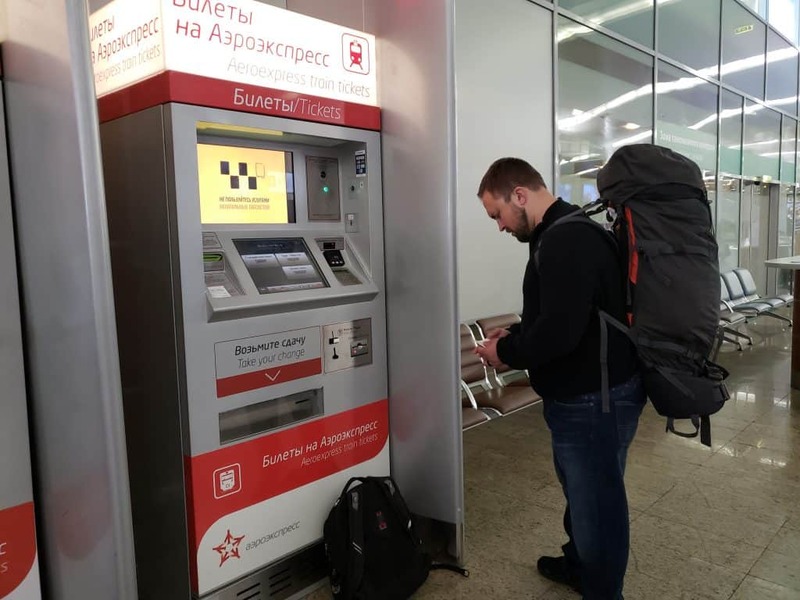 These are both between 35 minutes and an hour outside of the city center but are served by the Aeroexpress Train, which is your best way to get from Sheremetyevo to Moscow or Domodedovo to Moscow. You can purchase Aeroexpress tickets online by downloading an app for your smartphone, or you can purchase them in the airport or in the Aeroexpress station. A ticket costs 500 rubles for a one-way ride, and it’s a fair price for the swift, comfortable journey. From Domodedovo, you will terminate in the Paveletsky Rail Terminal. From there, you can connect with the Metro to complete your journey or use other means of transportation. 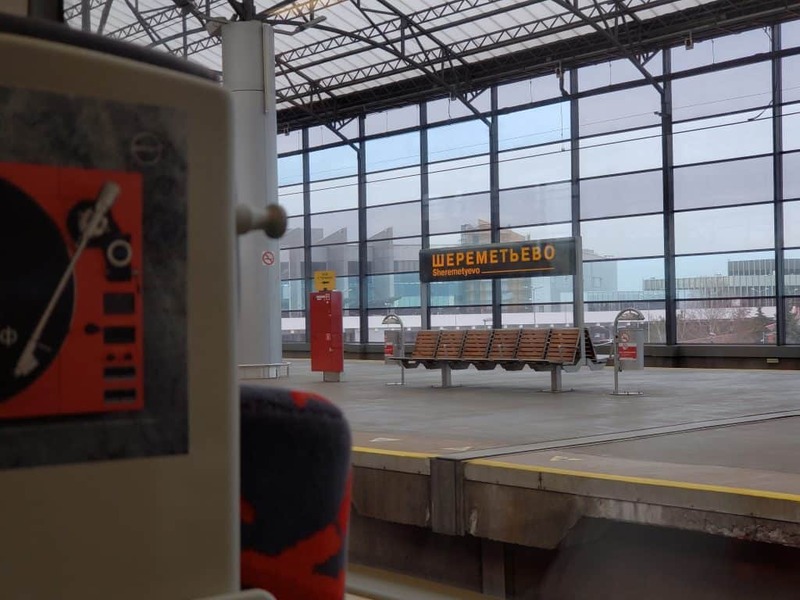 Sheremetyevo’s Aeroexpress goes to Belorussky Rail Terminal. You can easily connect to Belorusskaya Metro if you need to go further. Note: Hang onto your Aeroexpress ticket throughout your journey as you will need to scan it both to enter AND exit the station. Uber is an excellent way to get around in Moscow. 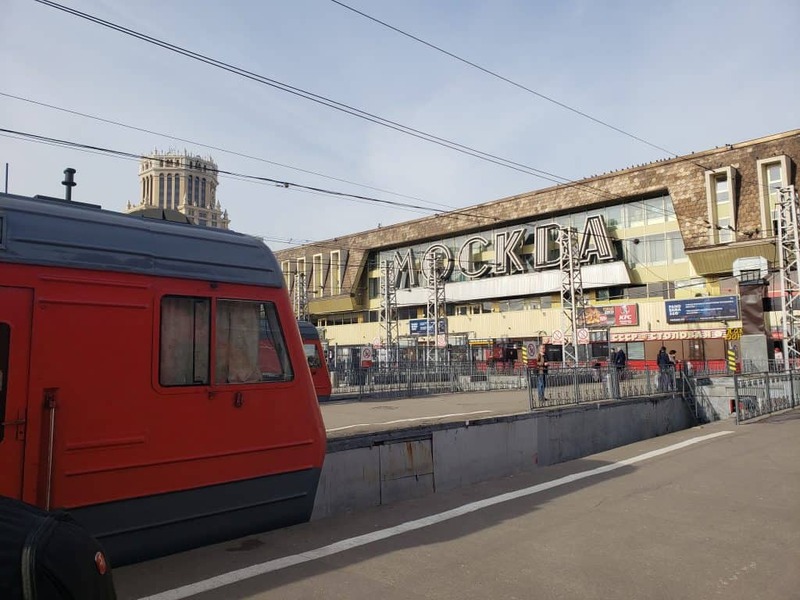 However, when going to and from the airports, the Aeroexpress Train will always be your best bet as it allows you to avoid the often-crazy traffic in Moscow and beyond. We used Uber a handful of times in Moscow, especially when it was more convenient than the Metro. When we were weighed down by our luggage after getting off the Aeroexpress Train, we called an Uber to bring us to our hotel. Each time we used an Uber, it was fast and easy, just like at home. The drivers came on time (perhaps a few minutes late because of traffic) and got us quickly to our destination. It’s important to note that every Uber we used ended up actually being a TAXI, but we still prefer using Uber because there’s no need to haggle about price or provide directions; it’s all in the app. Our Uber rides cost us between $2 and $4 per ride, too, which was a heckuva deal. Those bound for Moscow may wonder, what’s the best time to visit Russia? 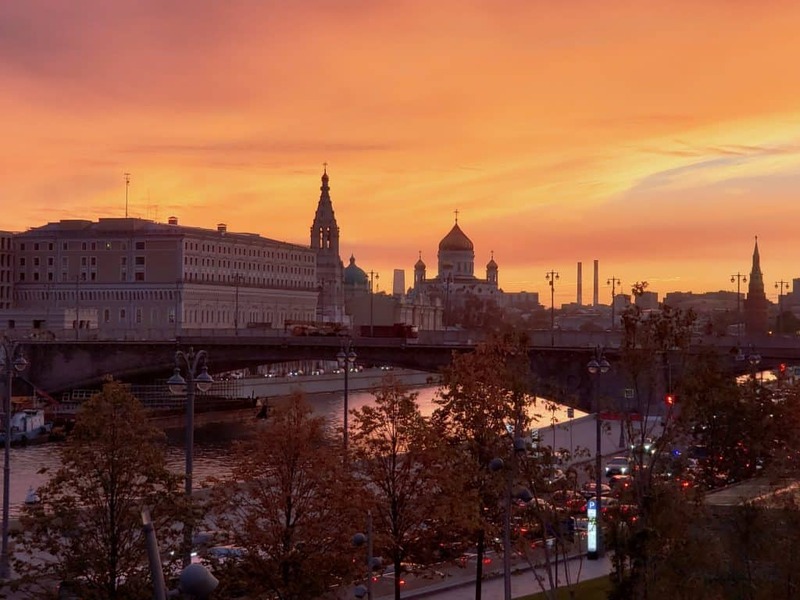 Russia is notorious for some cold winters, so you’re probably going to be better off following the northern hemisphere’s spring and summer to Moscow. However, we visited in early October, and though it was rainy and cold for part of our trip, we found this to be a nice time to visit the city, as crowds were few and the temps were cozy. Because of hot summers, May through June may be the best time of year to visit Moscow. But you can expect higher prices and increased crowds during the high season. Okay, one of our biggest tips for visiting Russia has got to be understanding your Russian migration card. Why? Because we did not, and you can learn from our mistakes! At some point, I glanced at this unimportant looking scrap of paper sticking out of Nathan’s passport, and for some reason, I said, “You can throw that away.” Being the unquestioning husband that he is, he did. Turns out, this was a foolish error. When entering Russia, immigration will provide you with a thin, blotchy piece of paper with a stamp on it. They probably won’t tell you anything about it (at immigration, no one spoke a word to us, just stamped and waved us through), but you should definitely hang onto this piece of paper. When you arrive at your hotel to check in, they are likely to ask you for this migration card. This is so that they can register you in Russia, a process which apparently confirms your stay and your visa. (For some reason, we were not asked for this at our first hotel, but we were at subsequent hotels, and not having Nathan’s was slightly problematic). At our last hotel in Moscow, they seemed concerned that we didn’t have the card (although we did, for some reason, have mine) and suggested we might want to contact immigration. Fast forward to us spending a few frantic hours researching what happens if you try to leave Russia without a migration card. (Also, cue me crying and apologizing profusely for telling Nathan to throw his paper away!) The internet results were pretty alarming, with possibilities including being detained and/or paying a hefty fee. Yet a few sites said that it may not be a problem. In the end, there wasn’t time to replace Nathan’s missing card, so we got to the airport early and approached with trepidation. We went separately through immigration, and I was asked to produce my migration card, which I fortuitously still had. Nathan was asked for his, too, but couldn’t produce it. The customs officer did not look pleased but she rolled her eyes and waved him through. I think this was very lucky, and I feel like, if he had gotten in the line of a less easygoing officer, we might have been slapped with a big ol’ fine. The moral of the story: Save yourself the stress–and possibly the money–by paying attention to the little scrap of paper you’re given upon arrival into Russia. Guard that paper with your life. Our final Russian travel tip is to spend a little time learning to read Cyrillic. Even if you can’t speak Russian, knowing how to read storefronts, street signs, and the occasional random word will help you SO MUCH. We spent part of our flight over using an app called Russian Alphabet Mastery. This mobile app promises to teach you how to read Cyrillic in just three hours. It actually worked very well for me, and I found that I could navigate Russia far easier with this knowledge. The app is free (here it is on iOS and Android) and uses English words to show you how the Cyrillic alphabet works. We highly recommend this app for your visit to Russia! Very helpful tips! Planning a very short visit in August and this will help a lot!